Long gone are the days of waxing, staining and sanding. Combining elegance with strength, the Montagna Glazed Porcelain Floor and Wall Tile from MARAZZI consists of a hand-scraped wood plank on a porcelain body. The porcelain body allows you to enjoy the look of wood with the durability of porcelain. Unlike conventional wood planks, these porcelain planks are not affected by seasonal changes that cause the joints to expand and contract, so you can count on a rugged, long-lasting yet stylish upgrade to any room of your home. 14.53 square feet; 15 pieces per case. Case weight is 50 lbs. 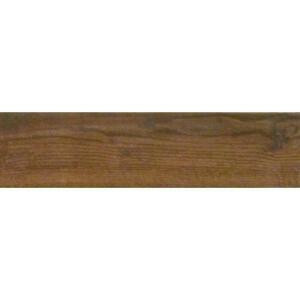 Buy online MARAZZI Montagna Gunstock 6 in. x 24 in. Glazed Porcelain Floor and Wall Tile (14.53 sq. ft. / case) ULG4, leave review and share Your friends.